I figured today I would post some pictures of one of the best attractions Walt Disney World has ever had. 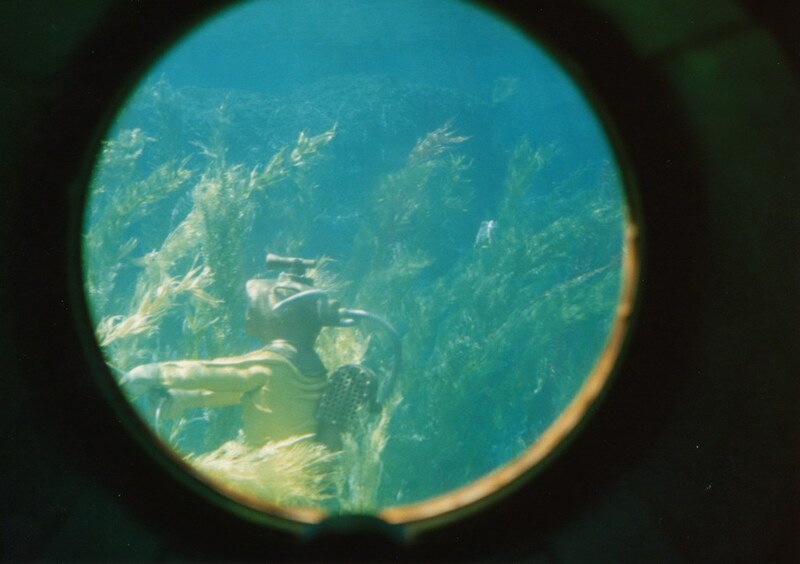 Of course I am speaking of 20,000 Leagues Under The Sea. 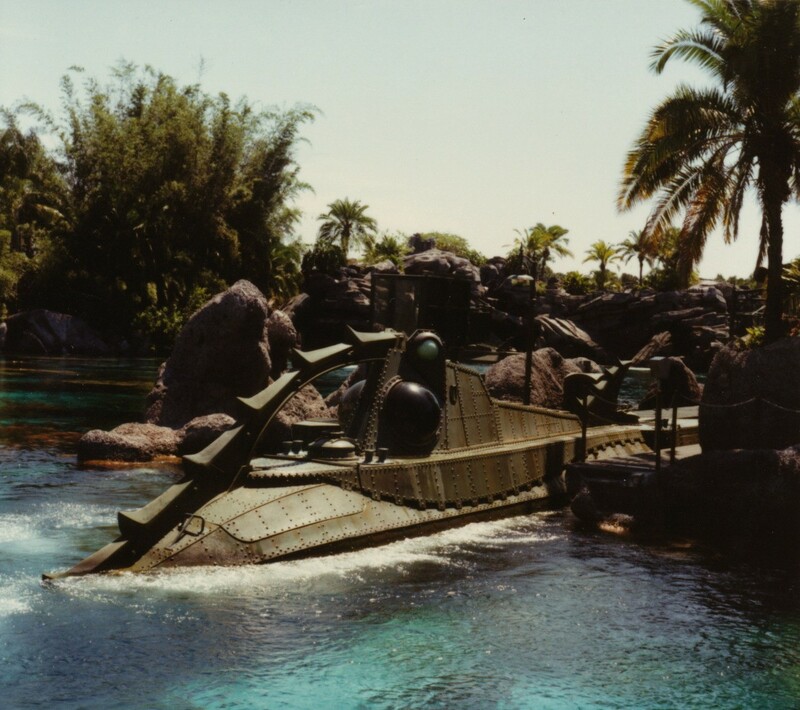 Even though the Disneyland Submarine Voyage was basically the same thing the Walt Disney World version was much better because we had actual Nautilus subs! 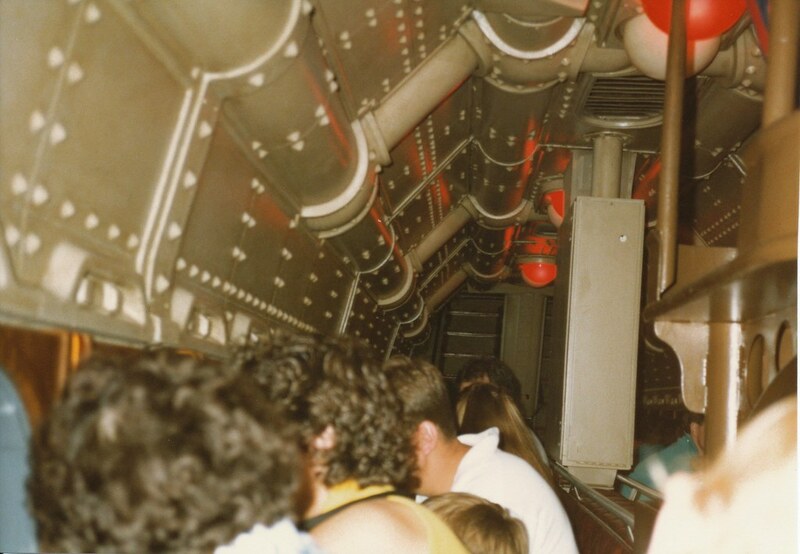 Back in 1988 when all of these pictures were taken I was waiting patiently in line to ride. Sadly the group ahead of us filled the sub so we were going to have to wait for the next one. 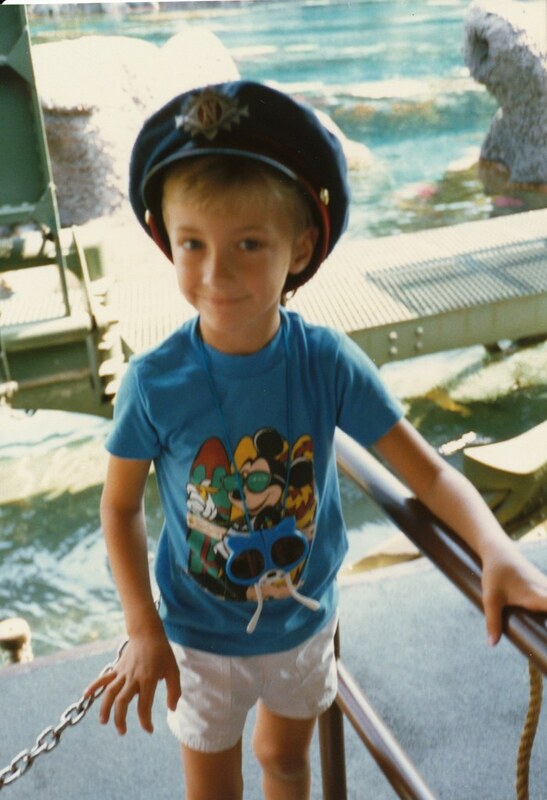 Being the adorable child that I was the cast member let me wear his hat until the next sub arrived. I woke up the next morning with head lice. Okay that last part wasn't true but I did get to wear the hat. Check out those collapsable kitty cat shades!